Make logo design for brand easier with ready-made free logo template available for free. Where you can create logo online, fast and free. There are many features that will help you, so you can create a logo easily even if you dont’t know how to design. In addition to free logo maker, there is also a alternative, which is using known as a logo ready-made template. By using existing ones, you only need to change the logo details as needed. Example: Company name, slogan, colour, or customise images and other details as you wish. So you just need to follow the existing pattern in the template, make a little customisation, and finish. Which is Not complicated at all. Although the logo templates are made in AI, PSD and EPS format files, but can be opened using a free photo editor like GIMP. Because not everyone can use software’s likes Illustrator and Adobe Photoshop. As far as I know, freepik is the largest free logo template design provider on the internet. Freepik has collection of 6,000+ in the vector image category and PSD. Downloaded vector images are usually created in different versions of AI, EPS, and SVG formats, all packaged in ZIP archive. The images in the PSD format are also packed ZIP archive. There are many apps that can be used in android to create free logo template here is the way to unlock your mi phone best Mi account unlock tool to unlock any sort of device without any issues. There are many logo collections from LogoInstant, and everything can be downloaded 100% for free. All logo templates are made in PSD format and can be modified to fit your needs. In essence, LogoInstant doesn’t have many rules. You can freely download any logo you want and be free to modify it as you like. iGraphic Logo provides more than 70 downloadable free logo templates in PSD and EPS format (vector images), all packaged in ZIP archive. 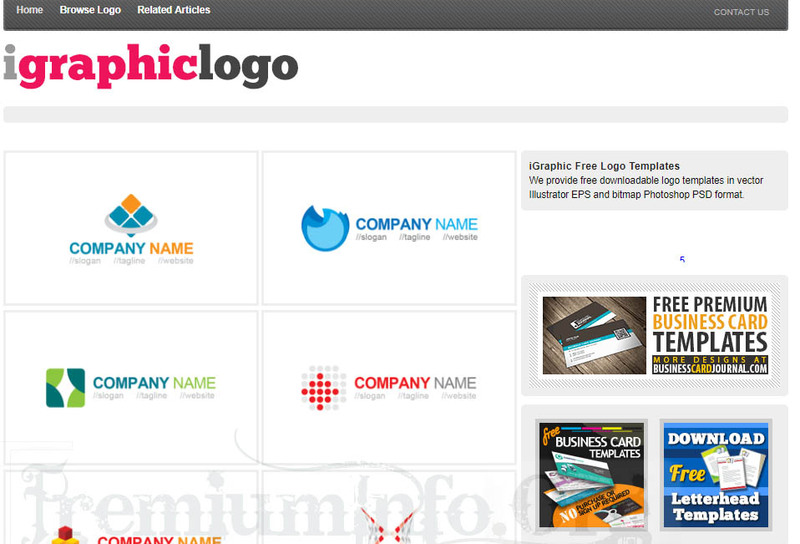 On the front page of iGraphic Logo website we can see their logo template. Click each template if we want to see the details. If we want to do a quick search, we can use the Browse Logo menu. There we can choose the categories of nature, people, food beverage, or any other category. We can download desired logo templates easily, without having to create user accounts. Vectorportal provides many logo templates in AI and EPS formats, Everything can be downloaded for free. To make it easier to find the right design, you can search for designs by category, such as business, stars, letters , or others. You can also sort images by the latest categories or popular categories. Not many rules in this website, just choose what you like. FreePSDFiles distributes free PSD files for various designs and needs. One of them is the logo template. As the name implies, all files shared on FreePSDFiles are made in PSD format. But, PSD file can consist of several logo designs. So you can get some logo templates in one download. Not all of the PSD files they share are owned by them, most of which are features of other websites. So FreePSDFiles is like a repository or index of PSD files. If there is no “Download” button, just click the template image you want. The Free-Logo-Design website has a look and niche similar to FreePSDFiles. First time getting into this website, I think Free-Logo-Design is the same as FreePSDFiles. Free-Logo-Design provides a wealth of unique logo template collections with many theme options. There are architectural themes, legal, educational, natural, up to 3D themes and games. You may need to click the download button several times to download the desired template. But you do not have to create an account, nor do you have to sign in via social media. 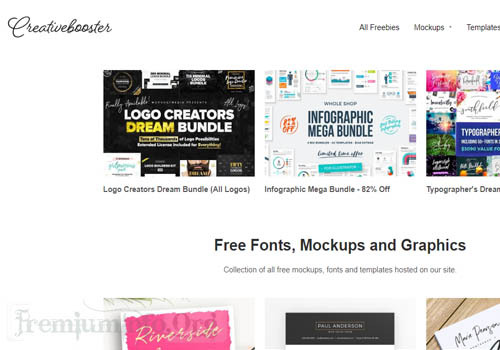 Creativebooster provides 25 minimalist logo design templates. But you can open this PSD file in program that supports AI format. In addition to the small number of collections, they also require visitors to enter their name and email address before downloading. Despite all the flaws, I still insert Creativebooster into the list, because you may need a minimalist logo template provided by Crativebooster. TemplateShock has a large collection of cool logo templates for various needs, some are free and some are paid. Free logo templates are usually marked with a blue button marked ‘DOWNLOAD’. Before downloading, you can click “VIEW DETAILS” to ensure that the template options match what you need. The downside: you must sign in first through Facebook, Google, or Github. Only then will you get a download link from TemplateShock. Ribet. There are many ways to download free logo templates from online market without paying. Still they wont be good enough for a professional website. If you’re in startup stage and you need a logo template. You can surely use this websites.